We are proud to announce that we have moved! Come visit us at our new state-of-the-art shop so we can service all your fire protection needs. 8521 Morrison Creek Drive, Sacramento, CA 95828. 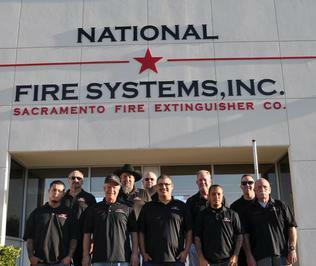 National Fire Systems Inc. is a family owned and operated fire protection company, serving the fire protection needs of Northern and Central California. We pride ourselves in offering superior customer service and high quality workmanship at an affordable price. With our expertise and great pricing, there is no need to shop around; we are your one stop shop for all of your fire protection needs! "Our customers' safety and satisfaction are our top priorities." To schedule a service or to receive a free estimate, please visit our Contact Us page.